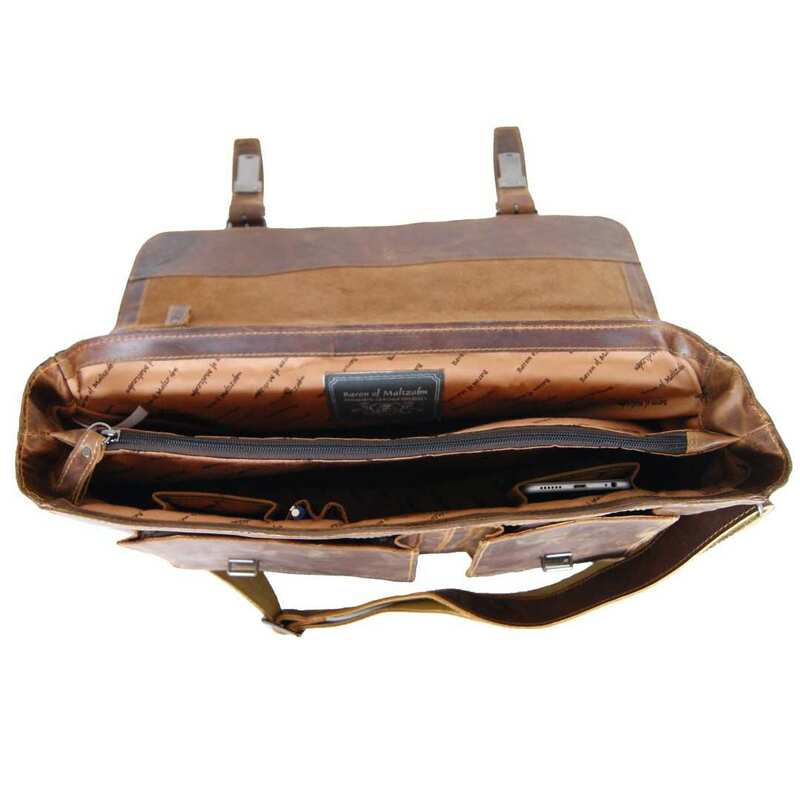 Product information "Business bag BOUGAINVILLE of brown leather"
Are you looking for a perfect bag for work and daily life? In this case, take a detailed look at the brown briefcase LOUIS ANTOINE DE BOUGAINVILLE made of leather. Besides the smart phone, the keys and the wallet, we usually need to bring other things to the office like a laptop, documents, brochures or other working materials. 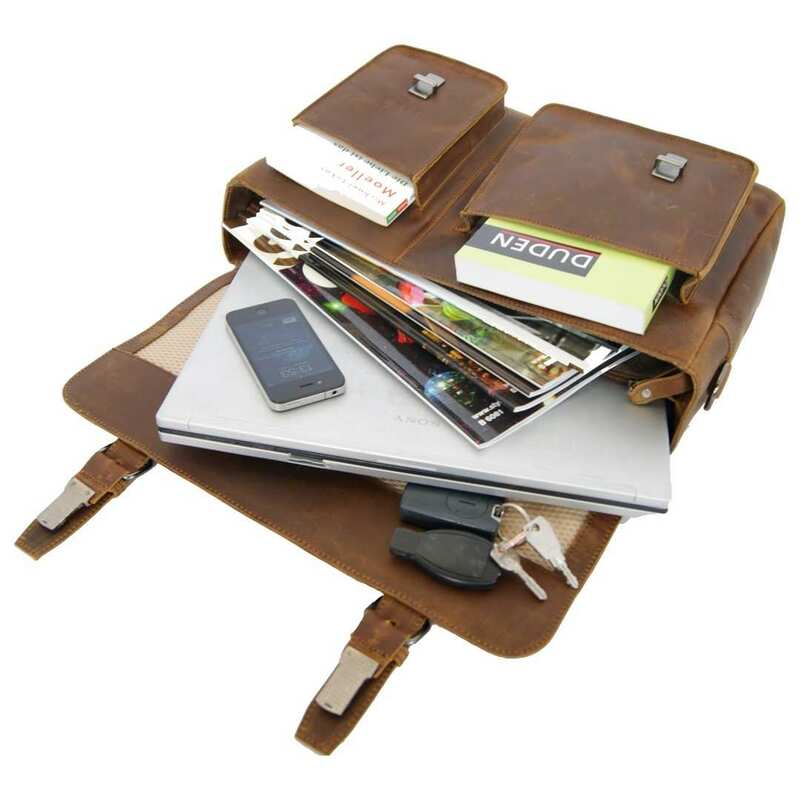 To keep your belongings safe in the same place, we have designed the fantastic business bag of brown leather – your perfect companion for the daily routine! It does not only captivate by its unpretentious and elegant appearance, but also by its high-grade processing. The two little straps on the frontal side protect the contents from curious glances and external influence. 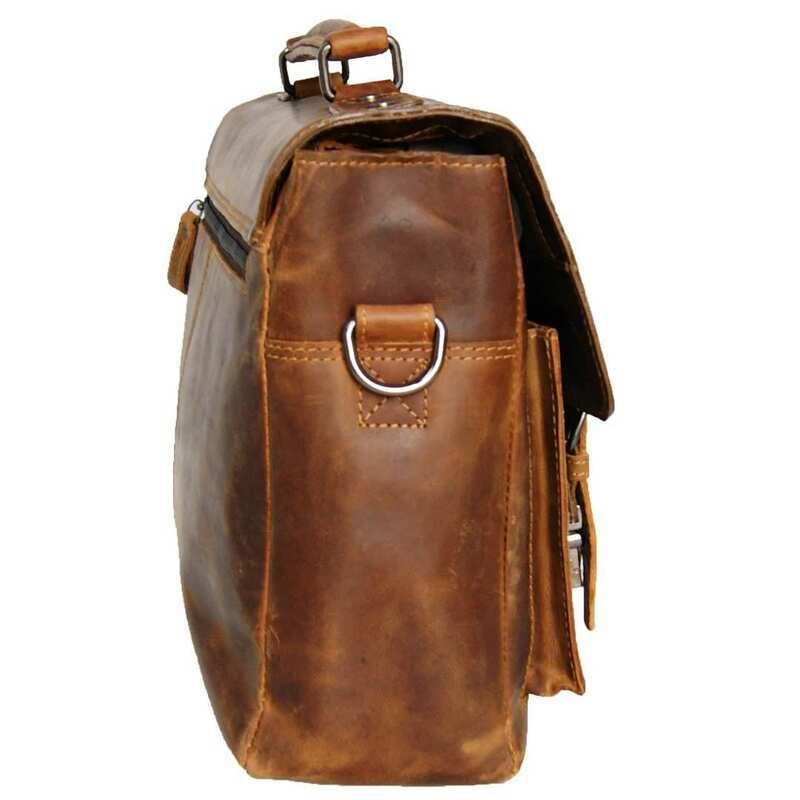 The brown business bag is made of valuable bovine leather. One of the particularities of this shoulder bag is the applied tanning method, which is still used nowadays according to a traditional procedure. This masterly developed process gives the bags of the Collection: BARON of MALTZAHN their singular colour, different in each case. A business bag and shoulder bag at the same time – absolute comfort! 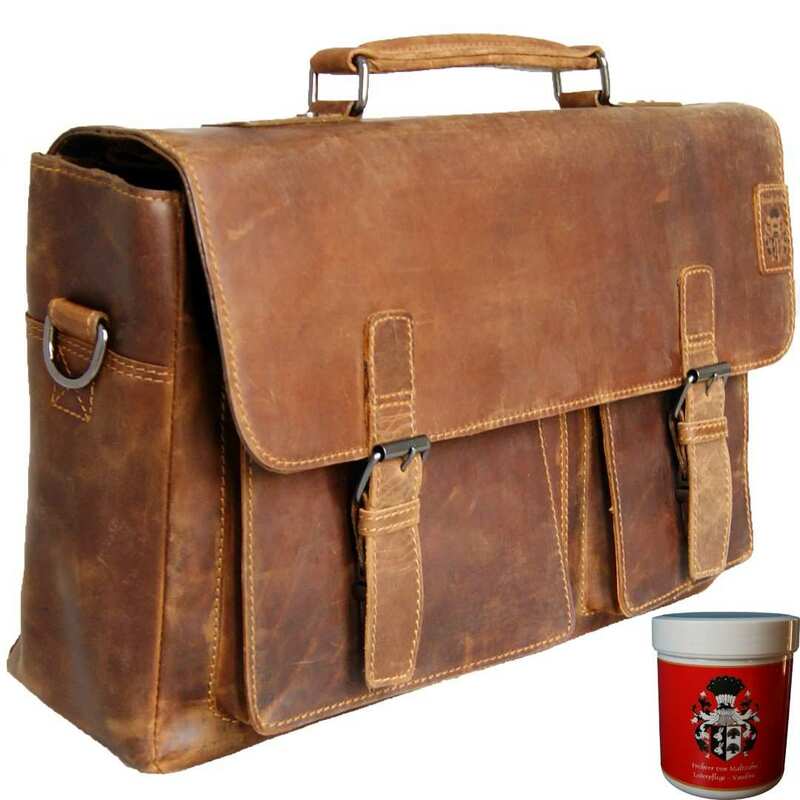 The briefcase made of brown leather includes a very useful shoulder strap. It has a length of 55.1 in (140 cm) and can be easily adjusted to your preferred size. 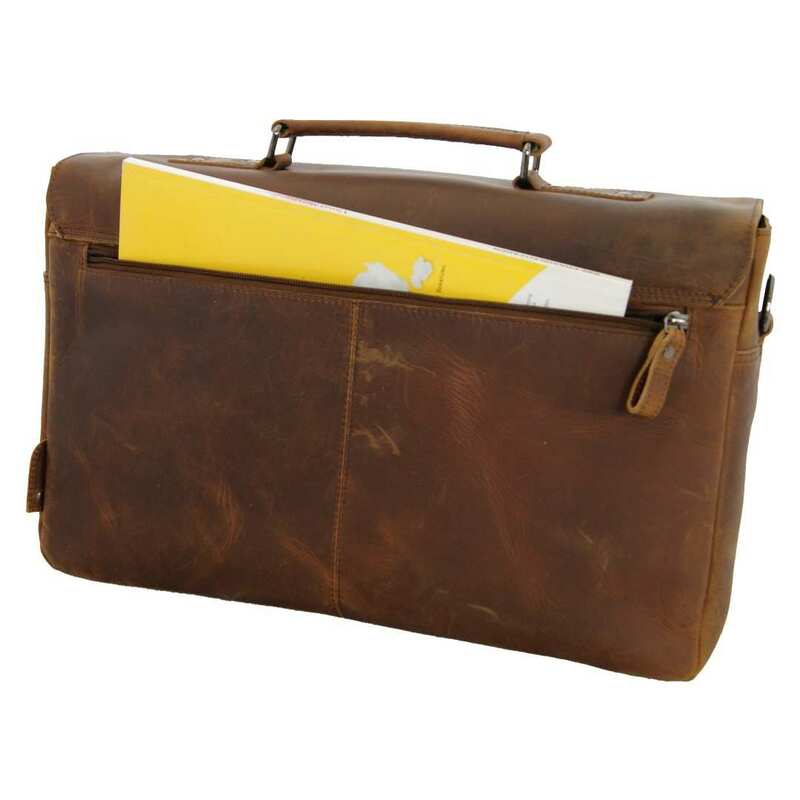 The total dimensions of the briefcase are 16.9 x 5.1 x 11 in (43x13x28 cm). 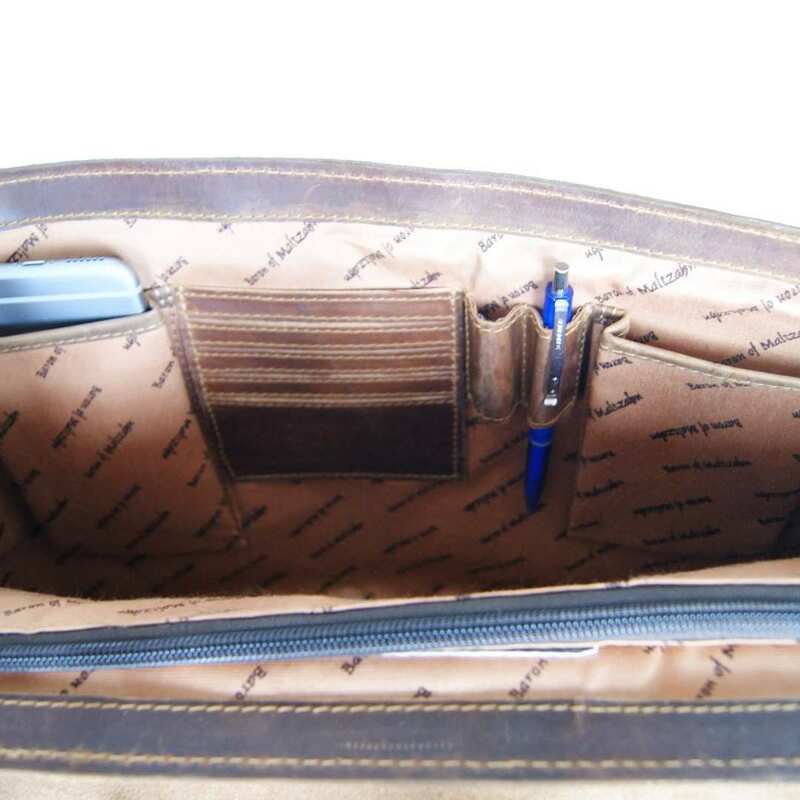 On the inside, the bag provides two main compartments and a separate zippered one. It also has two front pockets and another zippered section on the back side. The business bag of brown leather not only provides lots of space for your belongings, but also charms you by its absolutely timeless elegance. At the same time it offers professional, compact features that will confer you a great confidence. 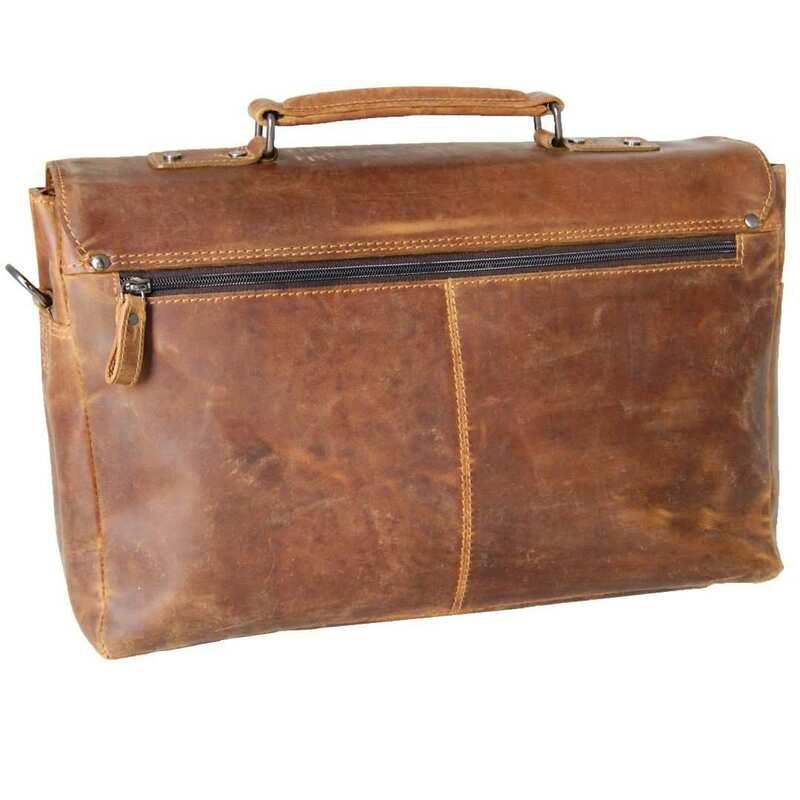 Reviews for "Business bag BOUGAINVILLE of brown leather"